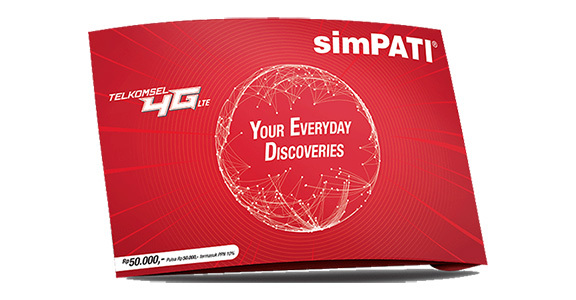 Simpati, one of the most popular prepaid cards issued by Telkomsel. Simpati provides various Pulse Transfer services, from sms, ussd code to apps. With this service, you can share your Simpati pulse to the nearest person who also uses Telkomsel's number. To transfer the pulse is not necessarily fellow Simpati, but the US Card and Loop. Simpati pulse transfer makes it easy for you to send credit to people who are difficult to buy credit. And also you can take advantage of this service to give the gift of credit to dear people like parents, friends, spouse. Type in USSD code like when filling credit using physical voucher. The USSD code for pulse transfer is * 858 *. For the format * 858 * destination number of pulse * nominal transfer pulse transfer # and press the call button. Next, you just follow the instructions on the phone service. Example: To send credit Rp.10.000 to 081234563224 eg code * 858 * 081234563224 * 10 # on call service, then dial dial on phone. On the SMS screen, type the nominal TPULSA (space) of the pulse you wish to transfer. Send the SMS to the recipient's number. SMS content is TPULSA 15.000 and send to destination number you want to transfer. Using the USSD menu is like checking the rest of the pulse. Simpati pulse transfer menu can be accessed at number * 858 #. Make a call to the number, then the options menu will appear. Type the number 1 for the "Transfer Pulsa" command. The menu screen asks you to enter the destination number and the nominal pulse. On the confirmation screen, enter the number 1 if you agree to transfer the credit. If afterwards you receive SMS notification "successful credit transfer" from the number 858, then your Simpati pulse has been officially entered into the recipient number. Telkomsel point program is the customer loyalty program that is shown to all Telkomsel subscribers. Customers may start earning Telkomsel points after the contents of Telkomsel's minimum Rp. 50.000, - in one month. Each charging the next pulse of Rp. 5,000 will earn 1 point for sympathy and US Card users and 2 points for a halo card.